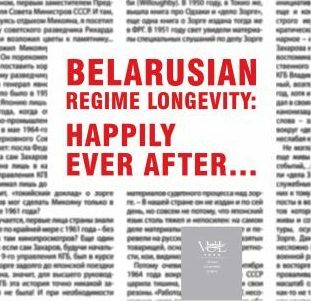 We invite you to read a joint monograph „Belarusian Regime Longevity: Happily Ever After…“. The authors are scholars at IIRPS VU. The end of Cold War raised optimistic beliefs that democracy begins to prevail at least in Europe if not worldwide. Francis Fukuyama even spoke of the End of History, having in mind, inter alia, that after all countries choose democracy as the only feasible political regime, the studies of transitology will get discarded to the archives of history. Unfortunately quite the opposite happened: it turned out that democracy can pave the ground for the return of non-democratic regimes. Belarus is the example of authoritarian rule not only regaining its strength, but what makes it even worse – creating or exploiting the existing situation both within and outside the country as a tool of consolidating power in hands of one man. This book will find its reader among those interested in political processes within Eastern Europe as well as those studying political transition not towards democracy but the opposite way. But most of all will this book be interesting to those in search of alternative answers and causality in analysis of political phenomena. Forming National Identity and Building up Loyalty to State: A Backcone for Regime Stability?